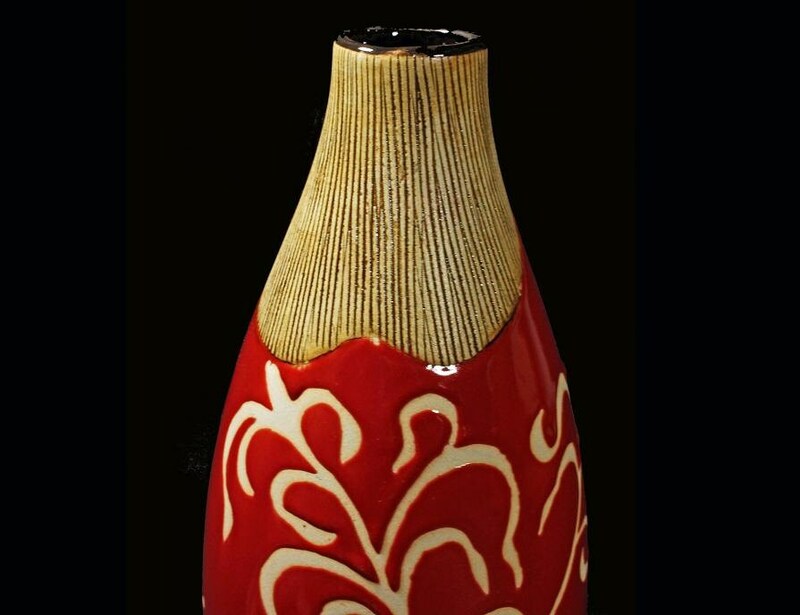 This is a lovely floor vase that was made in China. I don't know the exact date, but it is from the 1990's. 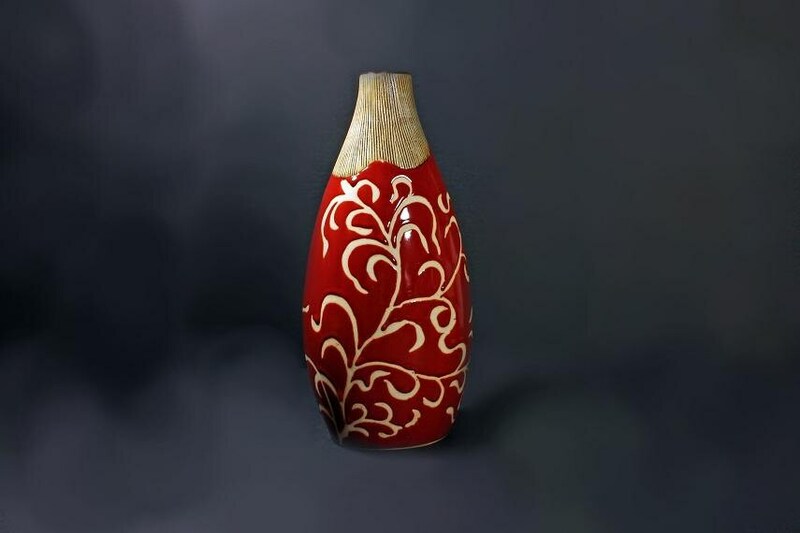 This vase is red with a scroll design on the bottom and the top looks like bamboo. 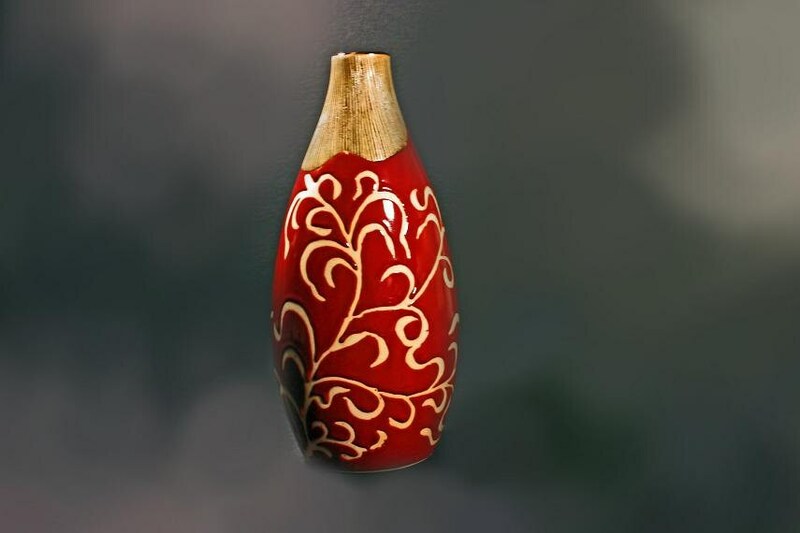 The interior of the vase is dark brown glass. This would be a stunning addition to you home decor. 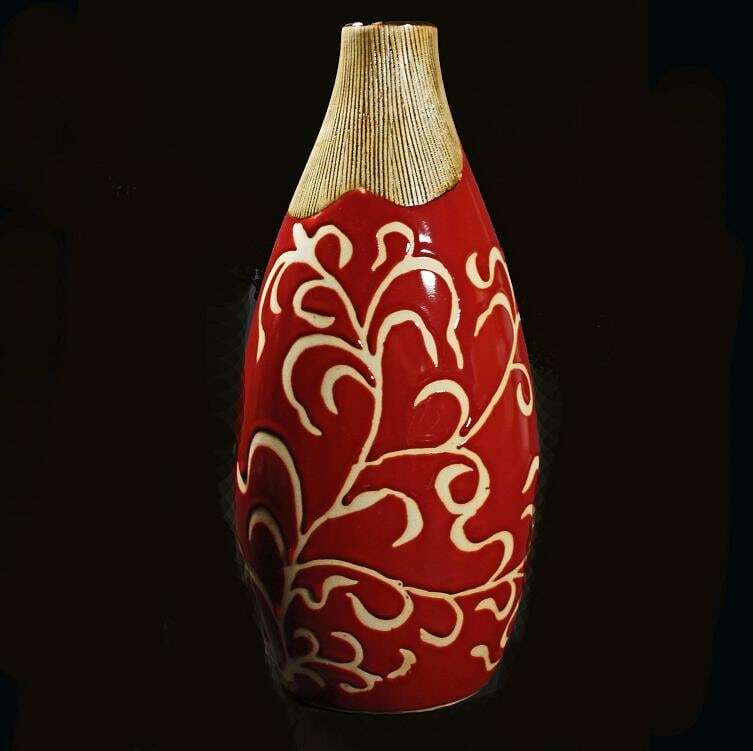 Size: 10 1/2 inches in height and 5 inches in diameter. This would make a wonderful gift or a fantastic addition to your own home. 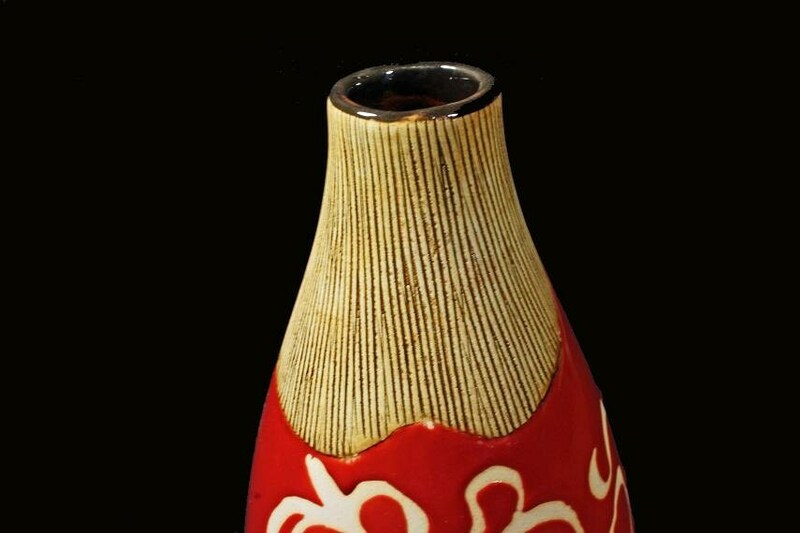 This vase is in excellent vintage condition. No mars, chips, or cracks.